My two of my awesome cousins (both male) got some the great gifts for my birthday in October, amongst those was a GDR baking book. That makes my baking heart sing like a bird. Loads of old school recipes, things we bought at the store, baked goods I had forgotten about. 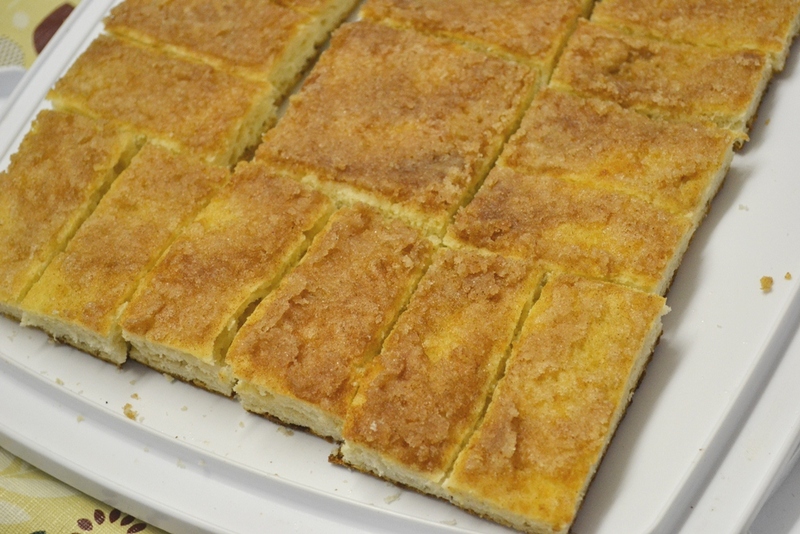 One of these recipes is the “Zuckerkuchen” – sugar cake, a simple yeast dough cake with butter and sugar. So I set my heart to make it this weekend. Tip 1: The recipe originally asks for 1 cube of fresh yeast, which is about 25g I believe. You can buy fresh yeast in Canada at Superstore, or at least in Saskatoon you can. Slightly heat the milk and pour 50 ml in a bowl. Add 1 tsp. of sugar and dissolve the yeast. Let it sit for a moment or so. Measure the flour and pour into a bowl, make a dent and pour the yeast mix into the dent. Then lightly stir in some of the flour until it is a thick consistency. Do not mix in all, just a bit to make a sponge. Cover the bowl and let it sit in a warm place for 15 min. Rolled out dough on the cookie sheet. 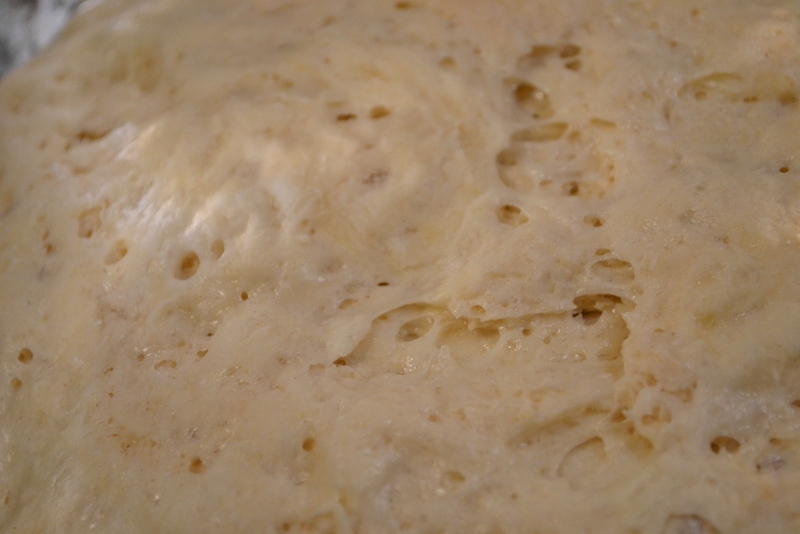 After the rest, add the rest of the milk, sugar, the salt and egg and knead into a soft dough. You might need a bit more milk due to the difference in flour. Cover the bowl, place it in a warm place and let it sit for an hour so that the dough can double. Tip 2: I recommend to grease the bowl with oil so that the dough will not stick. 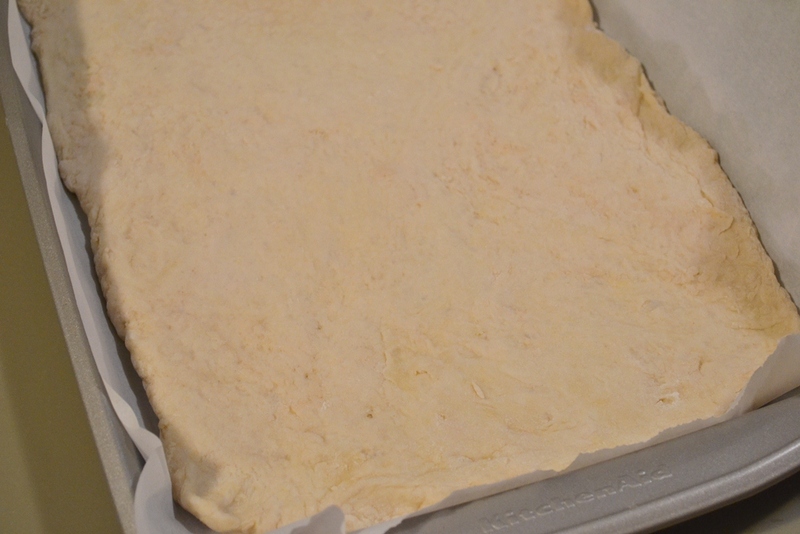 Preheat the oven to 225°C then flour the working area and roll out the dough into a square that fits your cookie sheet. The sheet should have a bit of a rim. Line it with parchment paper and place the dough on the cookie sheet. Then melt the butter and spread it equally on the dough. Cover the sheet and let it rest in a warm spot for another 15 min. 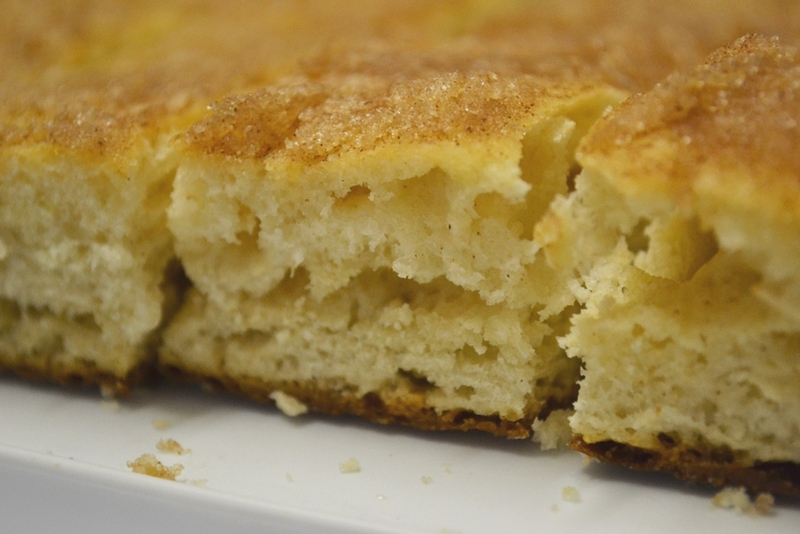 Combine the sugar with cinnamon and sprinkle equally over the buttered dough. Then bake the cake for 15 to 20 min. Glazed with butter and sprinkled with sugar-cinnamon. Tip 3: Let the cake cool slightly before you cut it up and store it in plastic containers. It should be still a bit warm so that some moister is sealed with it. This recipe is good for a large cookie sheet, however, I noticed that the cake won’t be too thick. 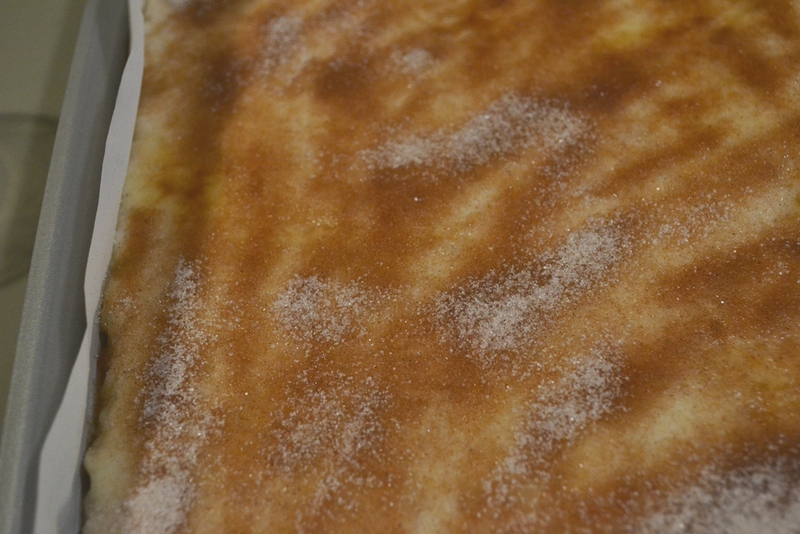 If you like a thick cake, either use a smaller sheet or double the recipe.